Oh, dear. I've caught a horrible cold. Sorry no sewing activities currently. I am dreaming of the perfect summer dress. It would be 1950's in style (or late 1940's Dior New Look) with a nipped in waist, and flared skirt. Definitely tea length. Sorry, I don't subscribe to the belief that "tea length" = unflattering. If I was worried about unflattering I'd be avoiding gathers across my ample derriere. I can assure you that I could choose a much more unflattering length! 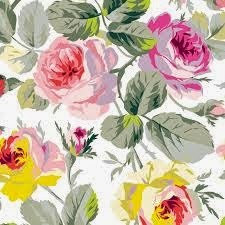 As well as finding and fitting the perfect pattern, I dream of glorious fabrics. 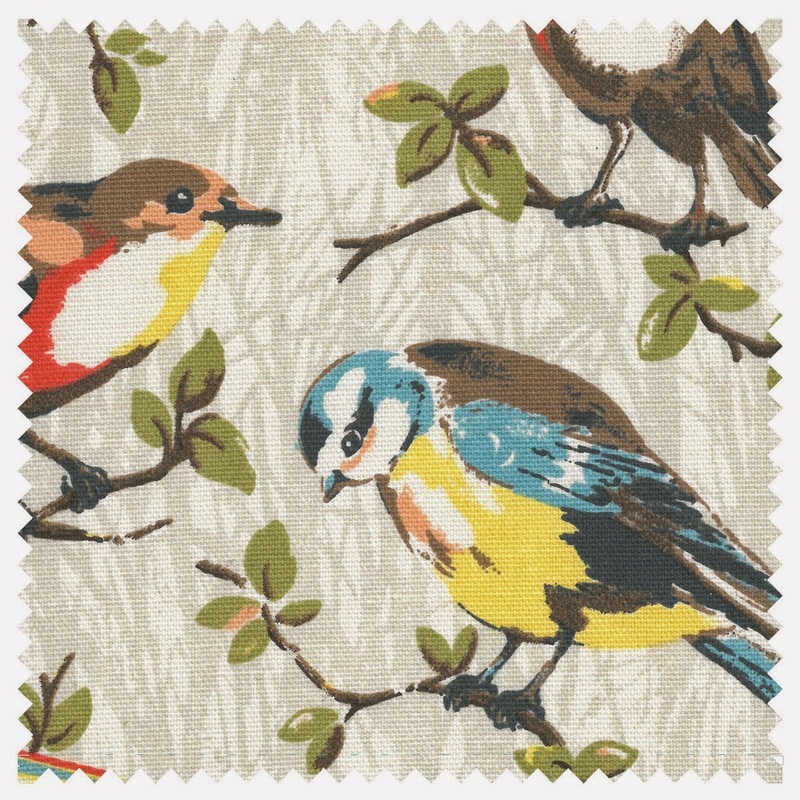 Maybe birdies by Cath Kidston? These would actually look super cute in autumn. How about some Tilda? 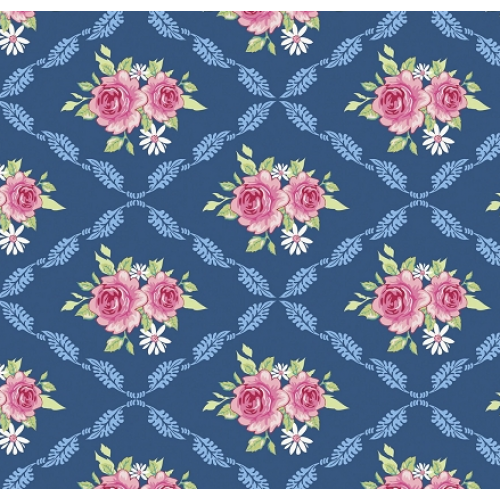 This one might present some pattern matching challenges. 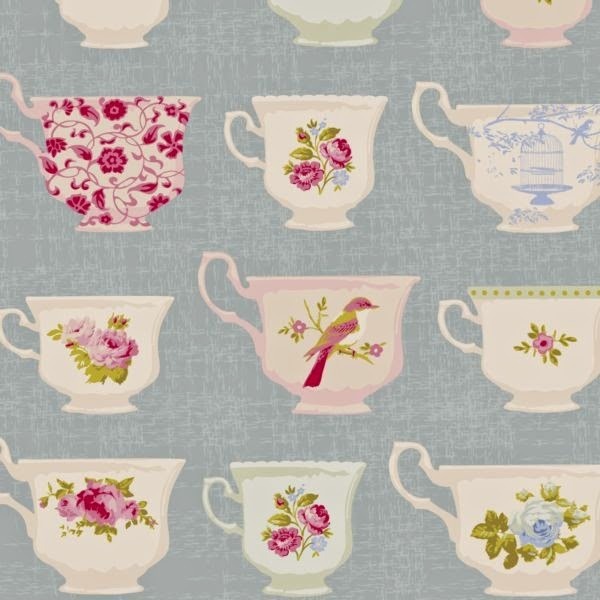 I have a fat quarter of this teacup pattern. I'm imagining afternoon tea wearing an afternoon tea dress. I'd need to make some pretty tulle petticoats to wear underneath. Not to full, but just enough to give a bit of a lift and swish. Pretty colours would be fun to mix things up a bit. Each dress could have a matching cardie. Merino knit fabric would be perfect. Light but warm if required. Once this crappy cold is gone I'm going to carry on with the summer dress quest. 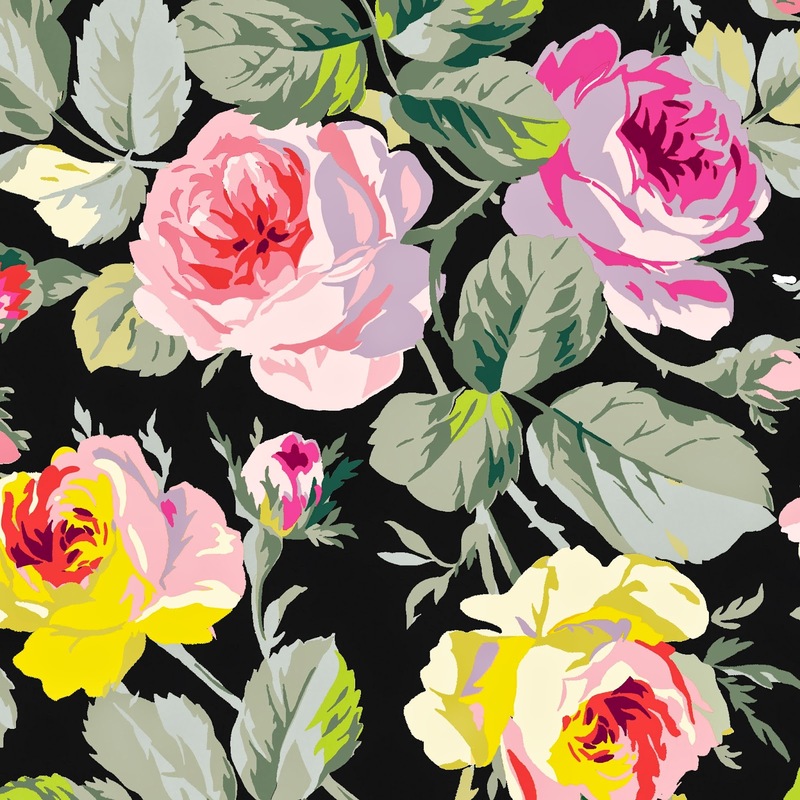 Such pretty fabrics. I am always on the look out for the perfect length, fine in winter with boots and tights but no obe wants to see my knees and veins in summer!! !